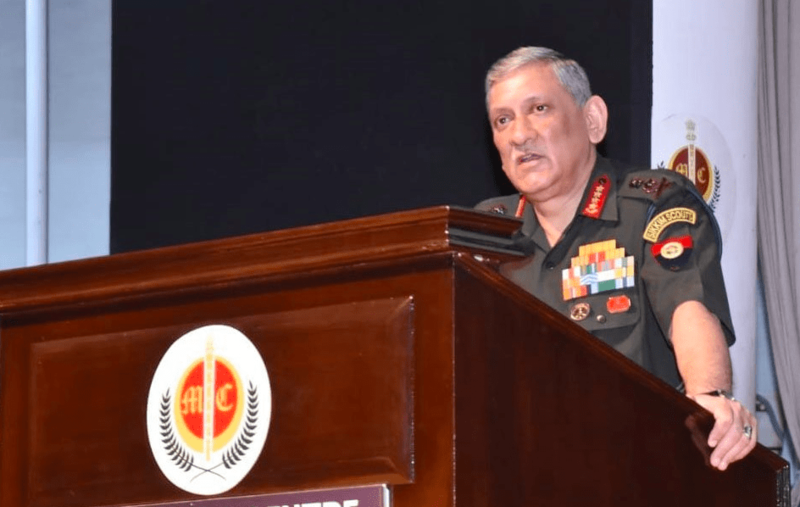 In keeping with the current government’s emphasis on new tech, Army Chief General Bipin Rawat on Tuesday laid stress on the need to institutionalise data and carry out predictive analytics using artificial intelligence. Speaking at a seminar titled ‘GeoSpatial: A Force Multiplier for Defence and Industrial Security’ at the 11th edition of GEO Intelligence Asia, General Rawat said, “The armed forces are the repository of big data and there is a need to record and institutionalise the information and carry out predictive analytics using AI.” He also stressed on the need for collaboration with industry and academia to automate the Indian Army and emphasised the need to leverage the various technologies available in the Geo-Spatial field to find solutions for the challenges faced by them. Lt Gen Anil Kapoor, Director General, Information System, later brought out the fact that data is being treated as the next oil. He mentioned that Indian Army is in the process of redefining and refining legacy applications into state-of-the-art software by using contemporary technologies. But this is not the first time that the Indian Army and the Government have talked about incorporating AI in the defence sector. Only a few weeks ago reports were floating about the Narendra Modi-led government kick-starting work on incorporating AI to prepare the Indian Army, Navy and the Air Force for next-generation warfare. The report had suggested that AI was to be used in the Army to enhance the operational preparedness of the armed force in a significant way. This would include equipping them with unmanned tanks, vessels, aerial vehicles and robotic weaponry, which would have extensive use in future wars. “The use of AI would add more teeth to the country’s military setup and it would be a big area considering the requirements of future warfare,” Dr Ajay Kumar, defence secretary in the Ministry of Defence, had said at the time.